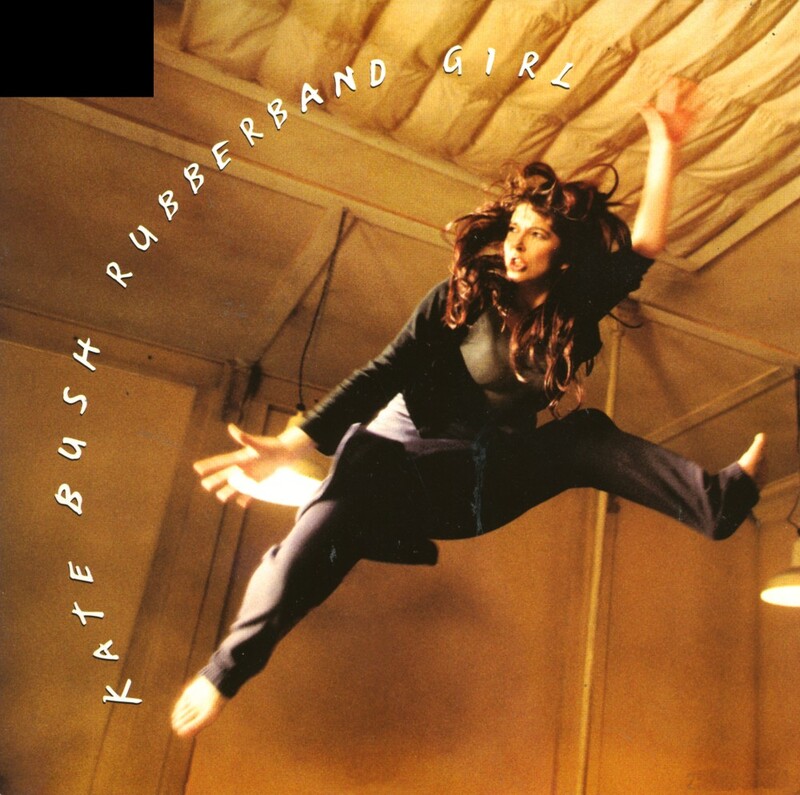 After a silence of four years, Kate Bush returned to the music scene in 1993 with the song 'Rubberband girl'. I remember Puck managed to buy a promotional cd-single two days before the release of the single for me, and so I got to hear the song a little earlier than usual. But of course, I had to buy several more formats until I would be entirely satisfied. So I bough the regular cd-single, the 2-track European cd-single, the American cd-single, an American promotional cd-single, a picture disc 12" single... plus the 7" single of course. Out of all the formats, the 7" single is probably the most beautiful, with its glossy sleeve and picture labels. 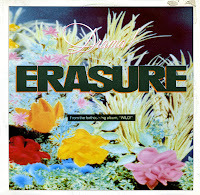 The single reached number 12 in the UK singles chart, but failed to chart in the Netherlands. More recently, I found a jukebox promotional 7" single with no sleeve and a very basic black label. I guess it's a rarity, so I was rather surprised to pick it up for next to nothing. 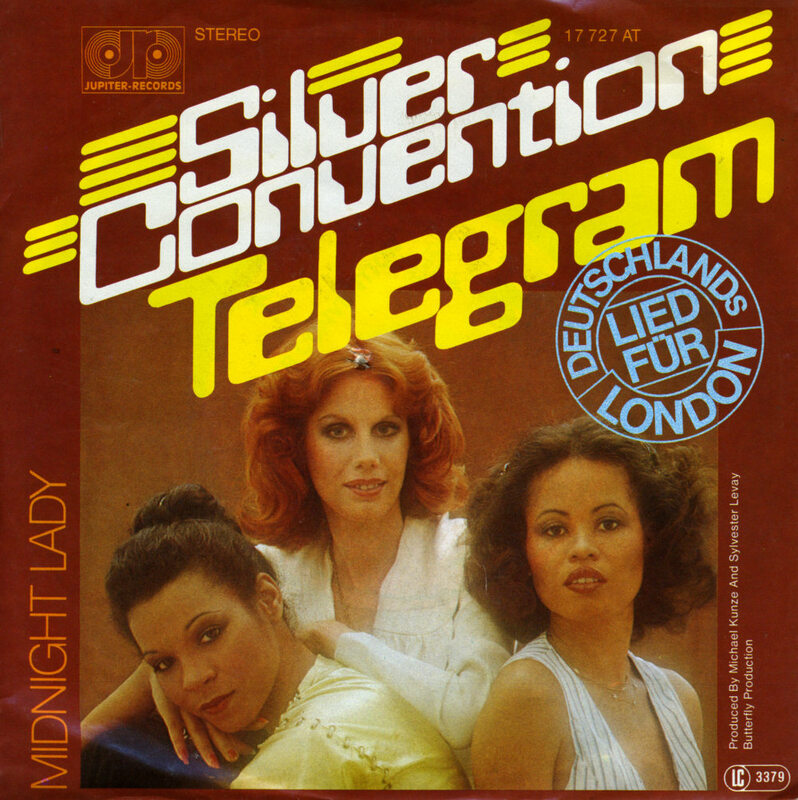 Producers and songwriters Sylvester Levay and Michael Kunze recruited Linda Thompson, Penny McLean and Ramona Wulf to form Silver Convention. 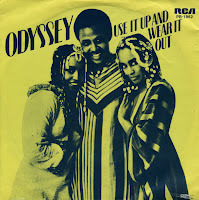 After having had worldwide hits with disco tracks like 'Fly Robin fly' and 'Get up and boogie', they struggled to have more success with formulaic disco songs, but failed to do so. 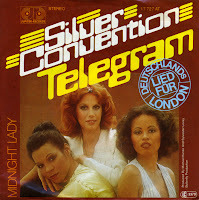 In 1977, they represented Germany in the Eurovision Song Contest with the song 'Telegram'. As a result of a new language rule, they were allowed to perform the song in English. They finished eighth in a field of 18 competitors. Phil Collins debuted as a solo artist in 1981 with his album 'Face value'. Three singles were taken from the album, of which 'If leaving me is easy' was the last one. 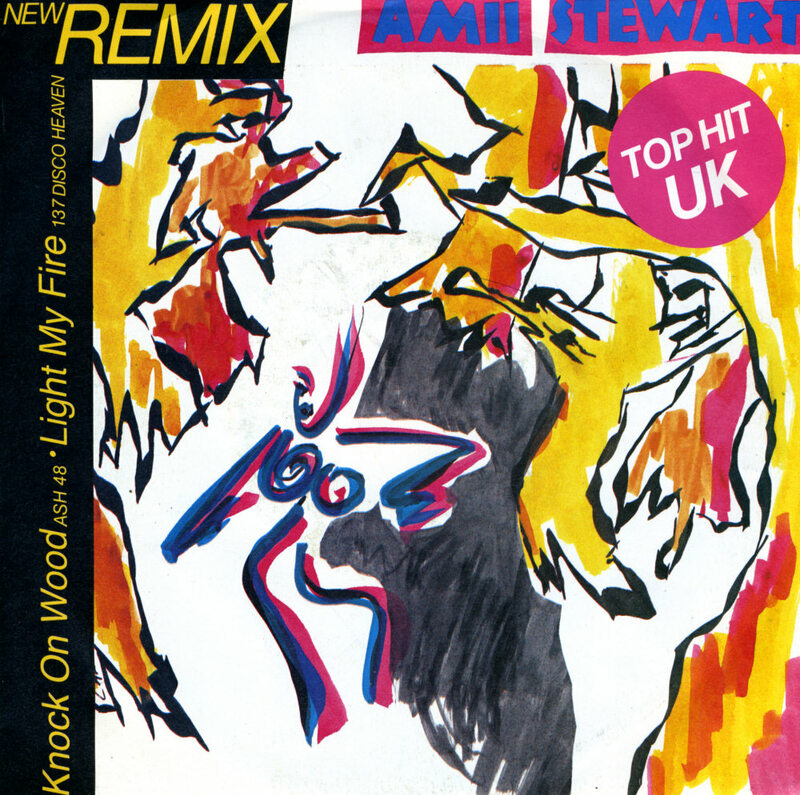 The single was released in a limited edition poster cover, and featured the demo version of 'In the air tonight' - Phil's very successful debut single - on the B-side. 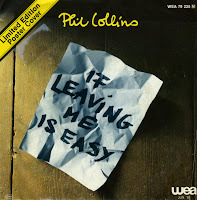 'If leaving me is easy' reached number 17 in the UK singles chart and also charted in several European countries. 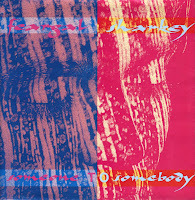 'Someone to somebody' was released in 1986 as the third single from Feargal Sharkey's self-titled debut album. In the UK, the single was released in a limited edition poster sleeve, featuring a live photograph and six different versions of the cover. The single was Sharkey's least successful single up to that point, as it only reached number 64 in the UK singles chart. What's odd about this single, is that it sounds so slow now. In the Eighties, Kylie was the hottest dance act in the Stock/Aitken/Waterman stable, but 'Wouldn't change a thing' sounds a lot like a 45rpm single played on 33rpm speed. 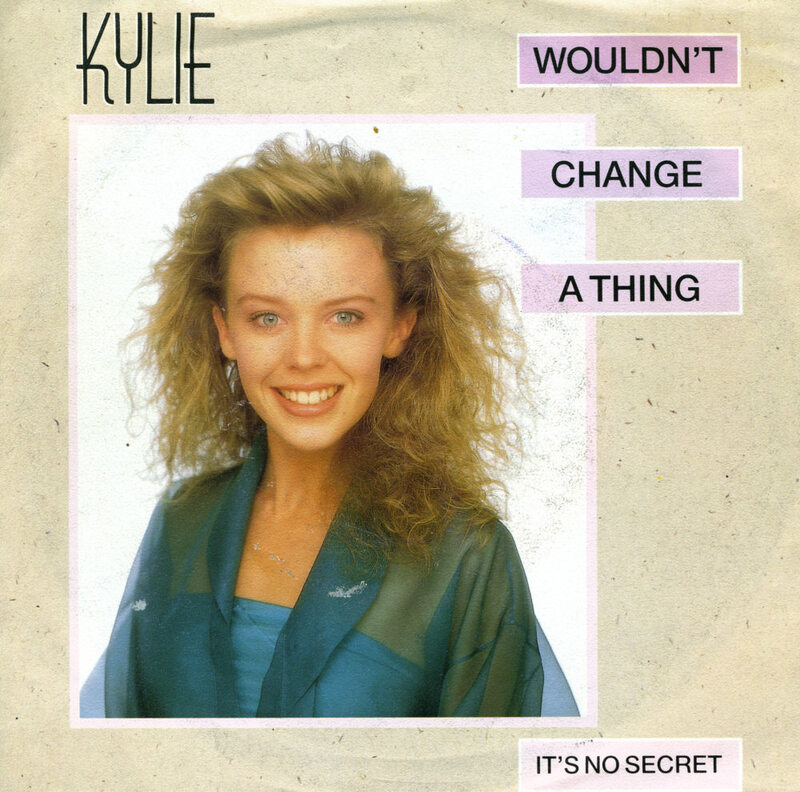 'Wouldn't change a thing' was the second single taken from Kylie's second album 'Enjoy yourself'. It reached number 2 in the UK singles chart and number 24 in Germany. It went top 10 in Australia and Finland. Although the popularity of Bucks Fizz was slowly fading, their record company still tried everything to keep the hit machine going. 'Love the one you're with', the second single from the band's 1986 album 'Writing on the wall', had reached number 47 in the UK singles chart but the record company didn't give up. And so, a third single, 'Keep each other warm' was released as a limited edition double single, featuring a medley of all album tracks on the second disc. It helped, but only slightly: this single made it to number 45. 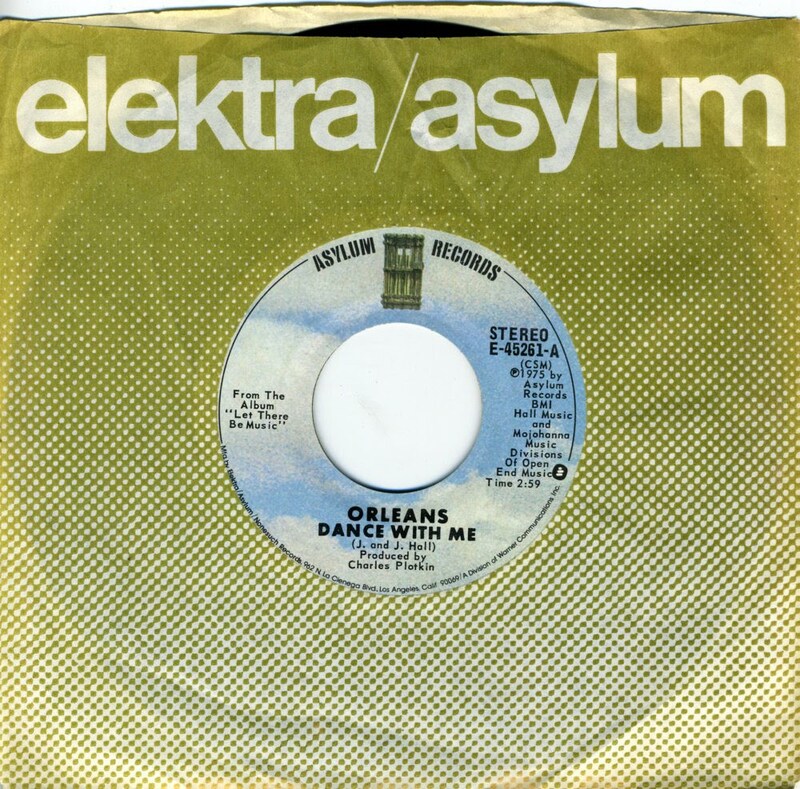 Orleans was formed in Woodstock, New York in February 1972, by John Hall, Larry Hoppen and Wells Kelly. In November of that year, the group also added Larry's younger brother Lance to the line-up. Jerry Marotta joined the next year, completing the quintet. 'Dance with me' was taken from the band's third album 'Let there be music'. The single was a big hit in the USA, but failed to chart in Europe. The 1990 megamix of Mel & Kim tracks, created by Alan Coulthard, was released as a 12" single and a 7" single. 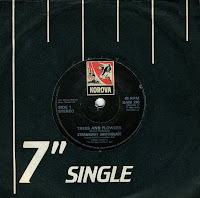 I was lucky enough to find the 12" single a long time ago, but the 7" single has eluded me for a long time. Until recently, when it suddenly popped up on a mailorder website. What's interesting about this single is that both the A-side and the B-side are shorter than its 12" single counterparts. There is also a cd-single, but that one is even harder to find. I wonder if I'll ever get my hands on that one. 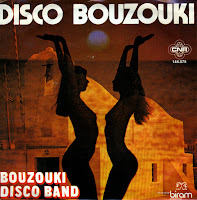 Most of the songs by the German disco trio Arabesque follow a certain formula, which is defined by unified vocals and a firm disco beat. And 'Tall story teller' is no exception. 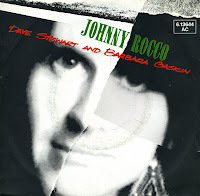 Released in the autumn of 1982, the single featured the track 'Caballero' on the B-side, which was released as a single in Japan only. In Japan, Arabesque were quite famous; even in the late Nineties their whole repertoire was released on cd in that country. 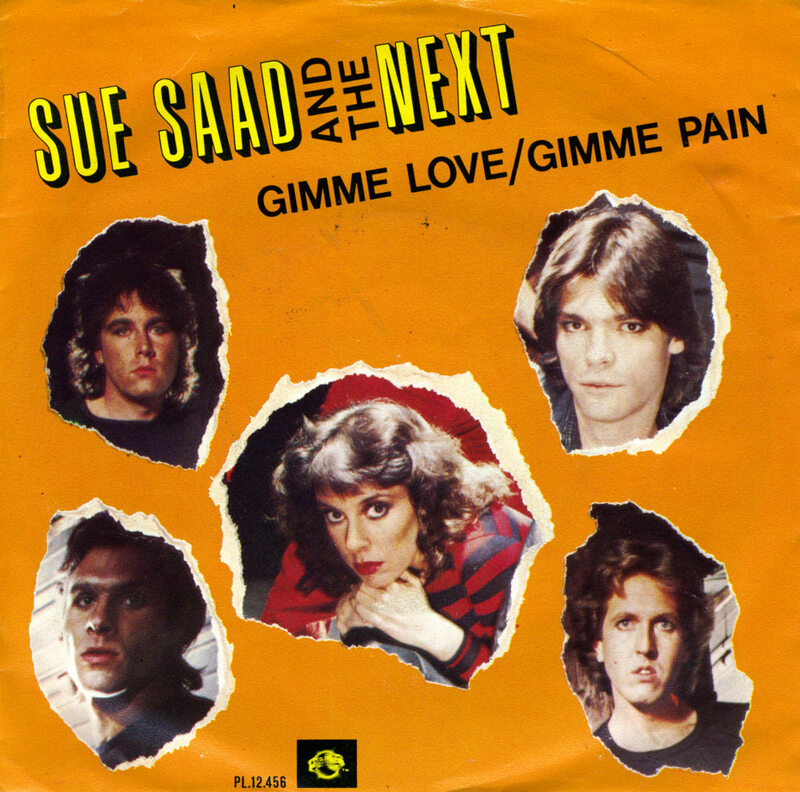 The band Sue Saad and the Next never made it big, but existed from 1979 to 1986. 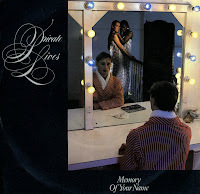 Their self-titled debut album was released in 1980, but only managed a lowly placing in the US album chart at number 131. 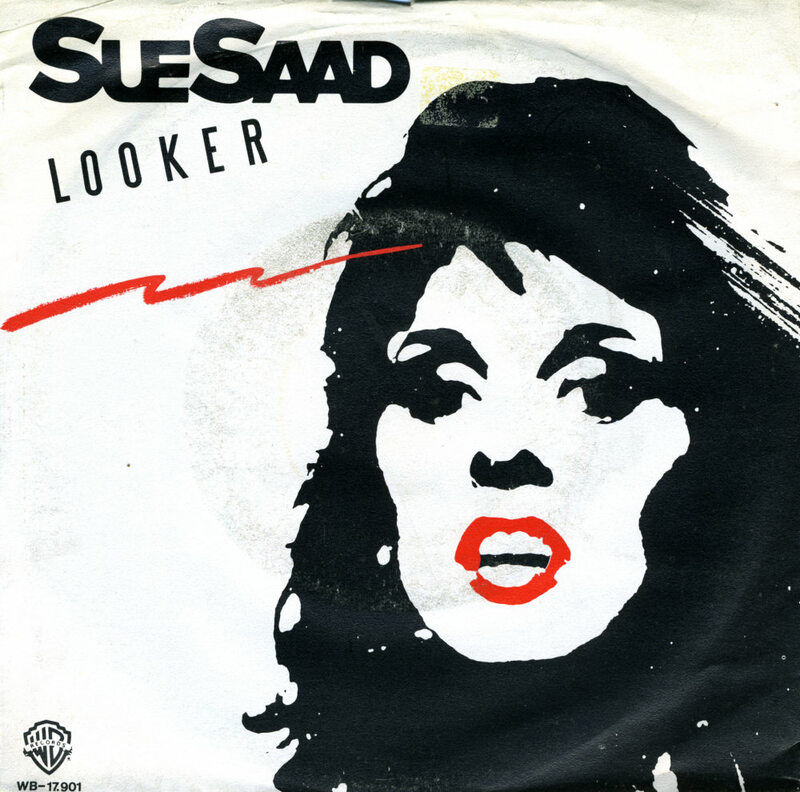 After the album, only one single was released, 'Looker' credited to Sue Saad. 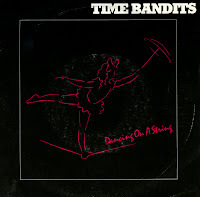 It did not chart, but the band still played live concerts until 1986, while also contributing tracks to movie soundtracks from time to time. 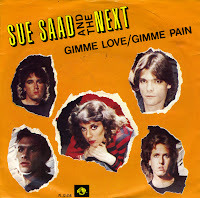 The only claim to fame Sue Saad and the Next ever made was a hit in the Netherlands with the dramatic rock song 'Young girl'. I bought the single at the time and for years it was one of my favourite songs of all times. The Dutch brothers Bolland recorded a very American-sounding single in 1978, entitled 'Hold on'. 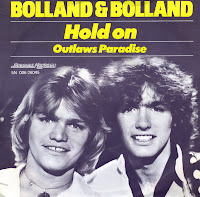 I got to know the song because of a compilation album of 1978 hits which I got as a present in 1979, but the strange thing is: 'Hold on'was never a hit. 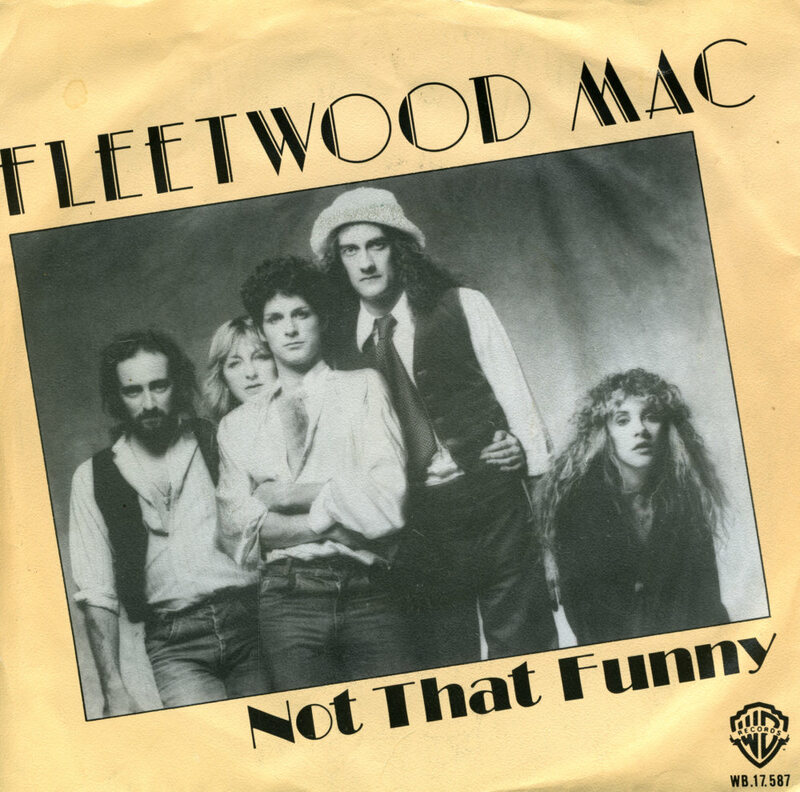 That's not to say it's a bad song: it could easily compete in the international charts at the time - but I think the record company never even tried this. The Alessi Brothers made some great jazzy stuff in the late Seventies,with one of their best known tracks being 'Oh Lori'. 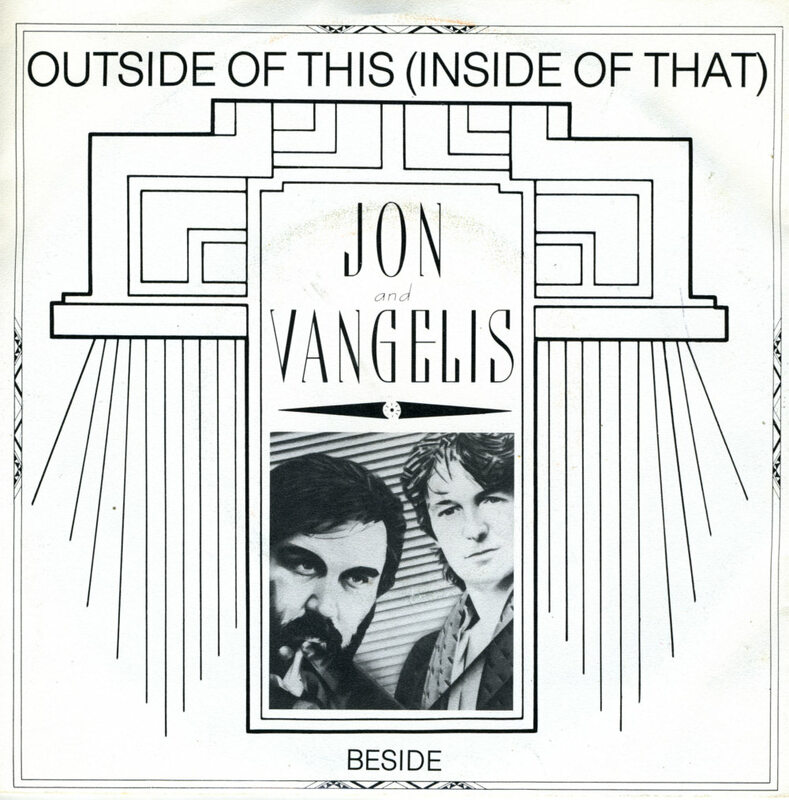 This single was taken from the same album as 'All for a reason', a year after 'Oh Lori'. It's an ode to one of the world's most exciting cities, 'London'. And it's got that same jazzy feel. 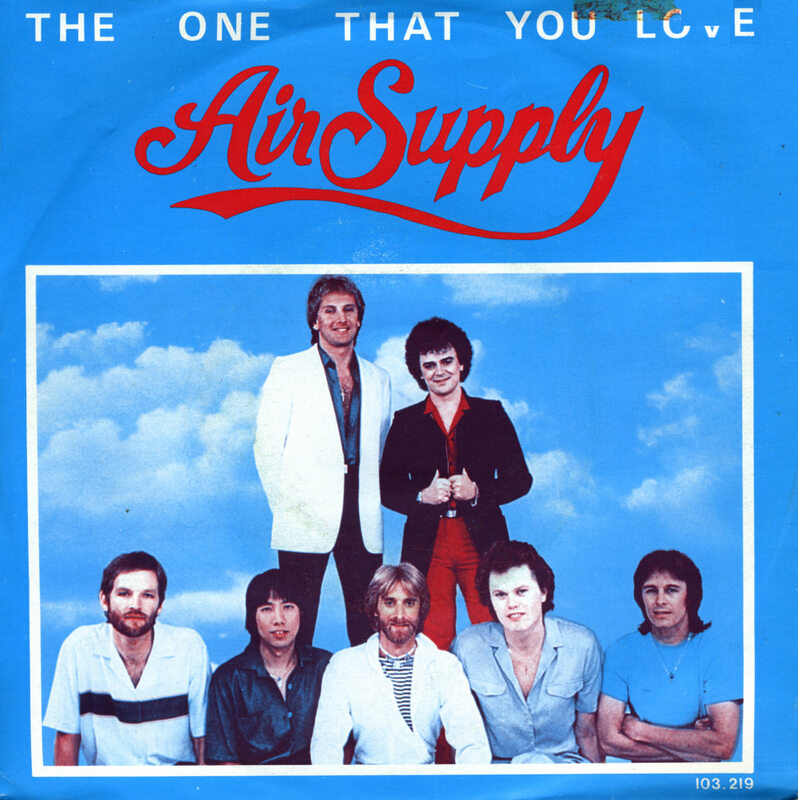 'The one that you love' is a classic love song, written by Graham Russell and recorded by the Australian band Air Supply. The single reached number 1 in the US Billboard Hot 100 chart in July 1981. 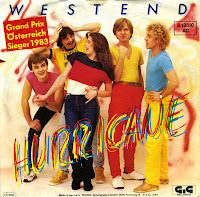 Although it is a wellknown song, the single did not chart in most of Europe. This copy of the single was pressed on green vinyl, which I suppose is part of a limited edition run. Quite a beautiful collector's item! After the duo Marshall Hain split up, Kit Hain went on a solo career and Julian Marshall seemingly disappeared from the pop scene. Seemingly, because in 1980 he was part of the group Eye to eye. Most people don't know this, as the single 'Am I normal?' did not become a hit. 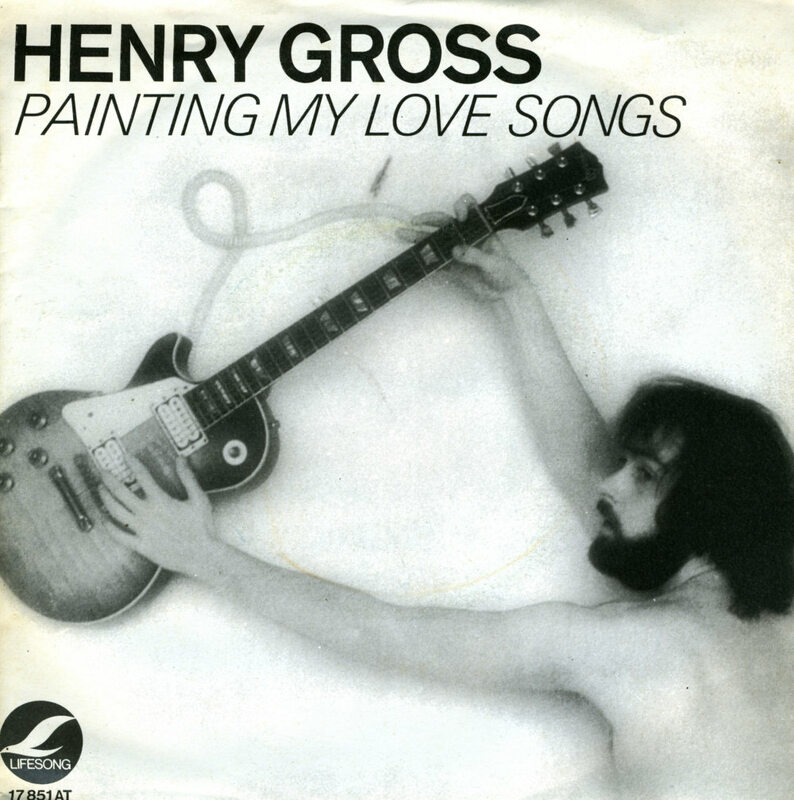 The beautiful sleeve featured a painting called 'Hand Maid', created by Philip Castle. 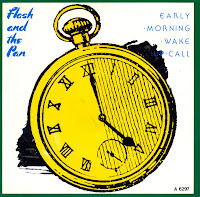 The title track of Flash and the Pan's 1985 album 'Early morning wake up call' was released as a single. It wasn't a commercial success, but it is quite a catchy track in the style of this Australian band. 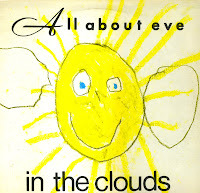 When I started collecting All about Eve records in the late Eighties, I quickly became aware that they'd released some independent 12" singles at the beginning of their career. 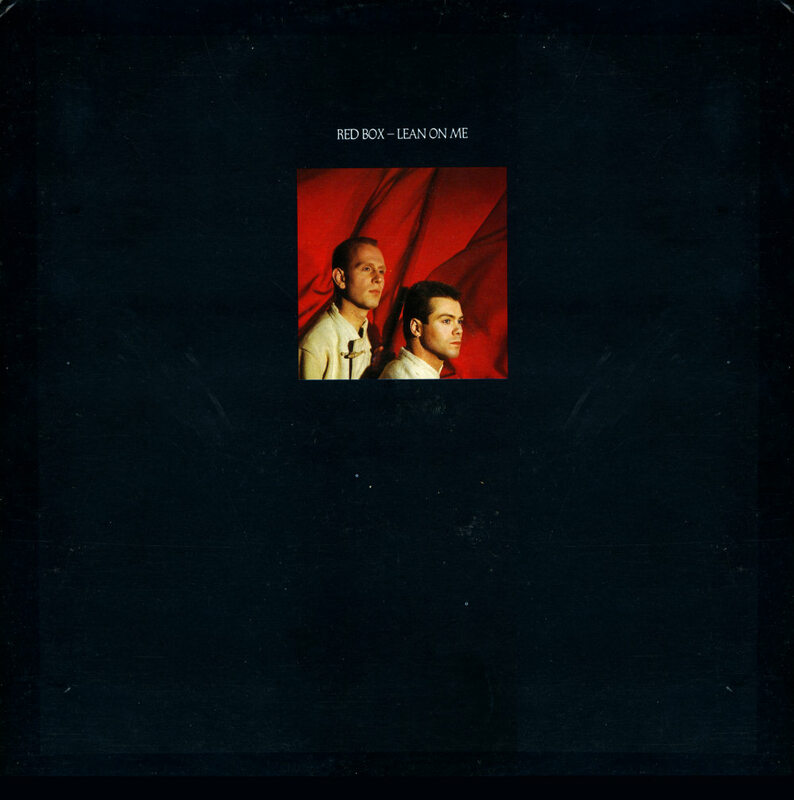 The 12" of 'D for desire' never came within my grasp for a reasonable price, and neither did 'In the clouds', their second release from 1985. 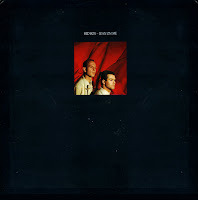 While I was never prepared to shell out 50 pounds or more for 'D for desire' ever since I got a bootleg 7" single, I did buy this 12" single for 20 pounds. That's still a lot of money, but it was lot cheaper than they were going for at the time - plus it was in pristine condition. Sometimes you have to live a little. 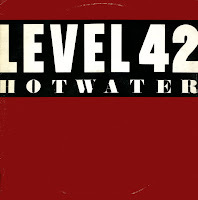 There are no credits for the 'Mastermix' of Level 42's 'Hot water', but it is an impressive mix, clocking in at 10 minutes, no less. This 12" snigle also contains an extended version of the B-side, 'Standing in the light'. At the time of its release, Level 42 were at the verge of becoming a supergroup, a status they achieve a year later when they released their album 'Running in the family'. 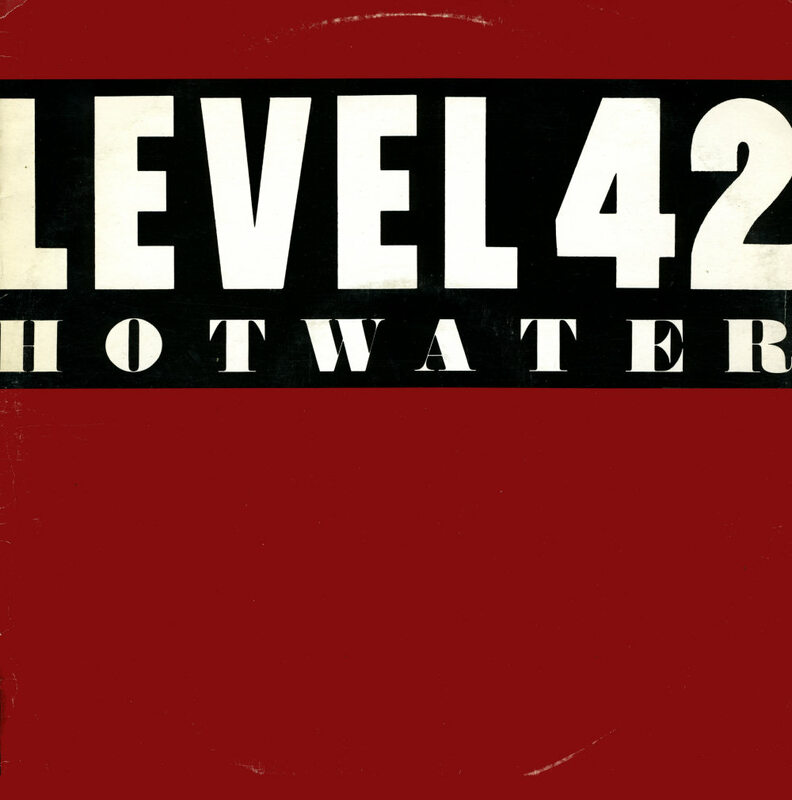 'Hot water' was taken from its predecessor, 'True colours'. 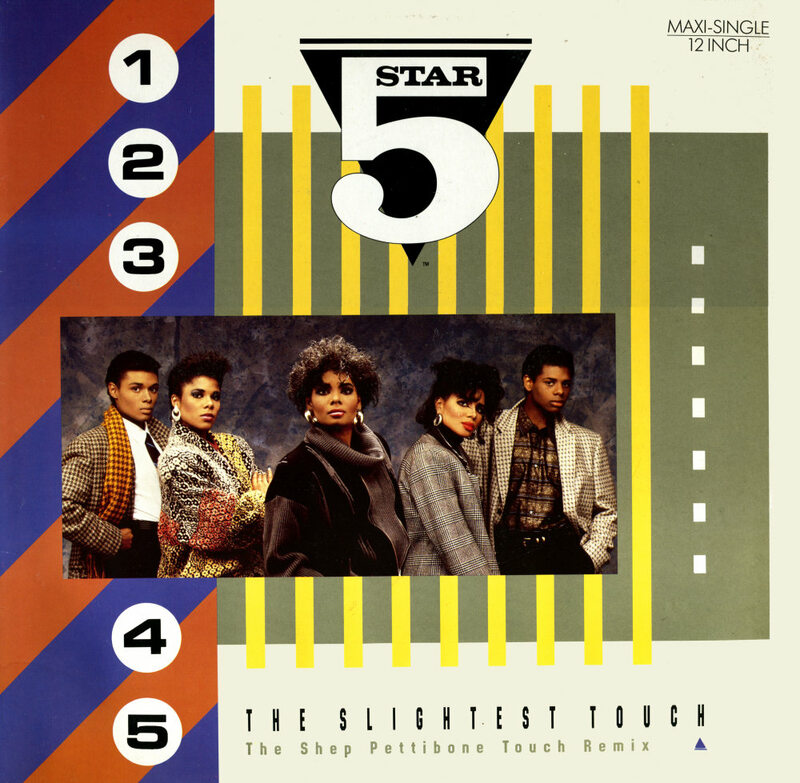 Five Star took no less than six hit singles from their album 'Silk and steel', but one had to admit that they weren't exactly lazy about it. 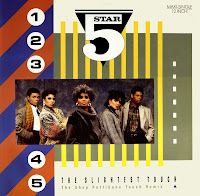 'The slightest touch', the last single to be taken from the album, was remixed by Shep Pettibone and the 12" single contained three remixes of the track made by him. 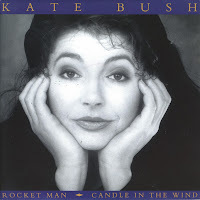 'The slightest touch' is one of the few Five Star songs to have been covered by another artist; Louise recorded the track for her 'Changing Faces: The Best of Louise' greatest hits album in 2001. 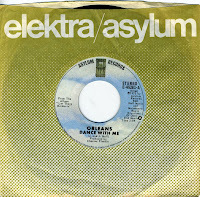 This version of the song was based on the album mix and was not released as a single. Red Box had their first hit single in 1985 with 'Lean on me'. It took me some time to realise that this was actually a good song, but when I did, I decided I wanted to have the 12" single as well. By that time, it was pretty hard to get, and so I had to resort to mail order in order to get it. 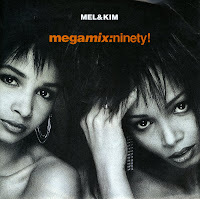 This 12" single actually contains two different versions of 'Lean on me' plus a remix of the B-side track 'Stinging bee'. Packages like this are always value for money. I was quite happy to buy this 12" single as it was very cheap. 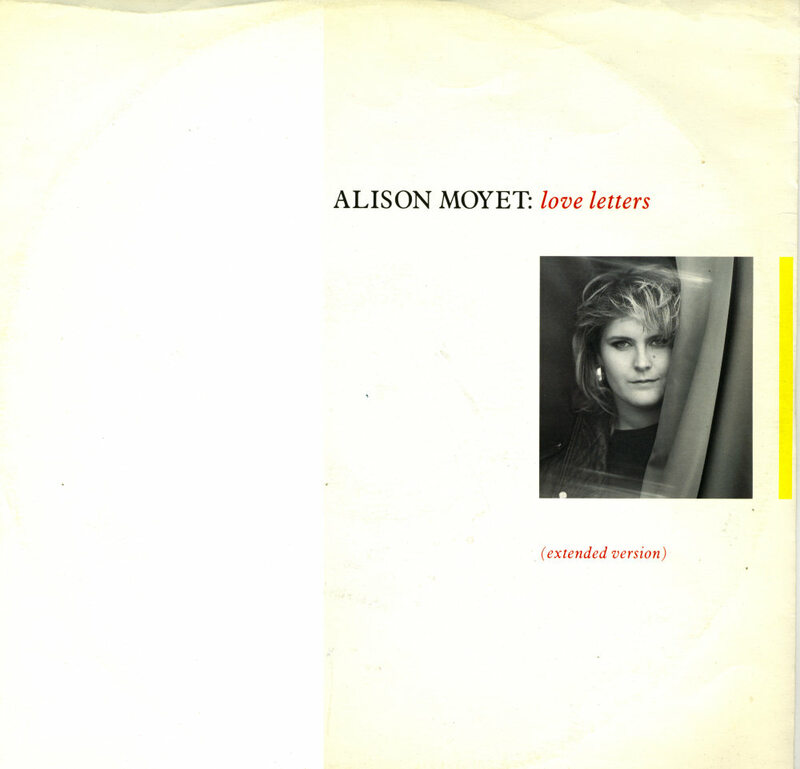 And fortunately, the extended version of 'Love letters' was worth every penny. In 1991, Polydor Records released 'Two Rooms: Celebrating the songs of Elton John & Bernie Taupin'. The title refers to the song on Elton John's album '21 at 33', 'Two rooms at the end of the world', to the duo's unusual collaborative style, and is also the title of a 1991 movie documenting their collaboration. Kate Bush's version of 'Rocket man' was released as the album's first single. 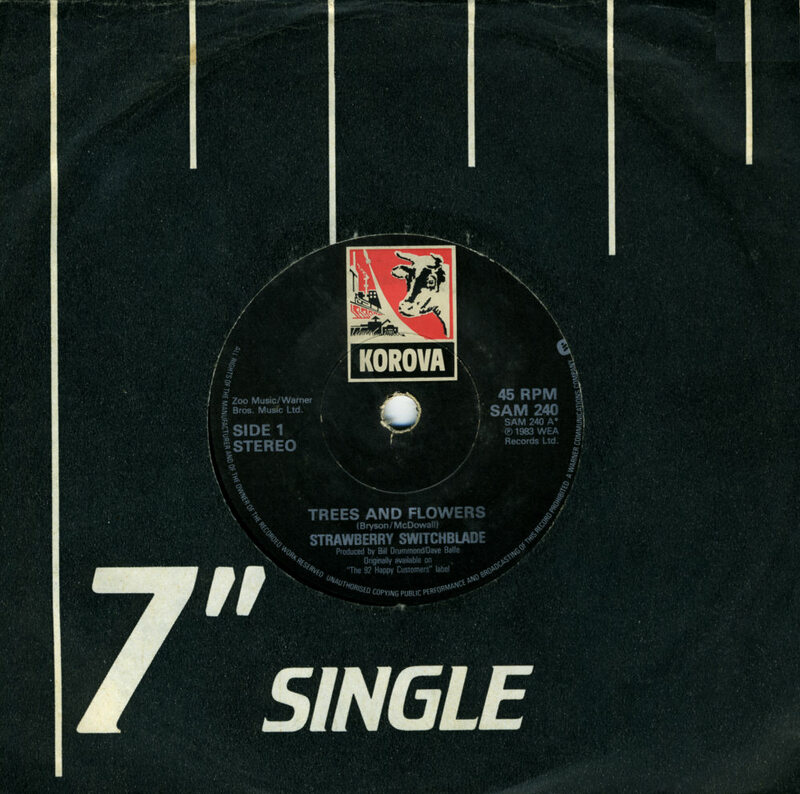 The 7" single appeared in a poster sleeve, of which the UK version was slightly bigger than the one made in Germany. 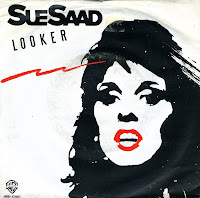 The single peaked at number 12 in the UK singles chart and number 22 in the Dutch Top 40. In 2007 the track won The Observer readers' award for Greatest Cover of all time. 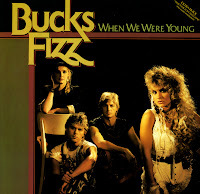 'When we were young' was a change in direction for Bucks Fizz. The production was heavy and the song had an ominous tone, far removed from the group's usual pop sound. 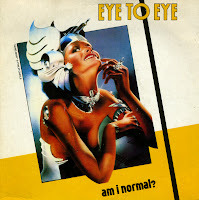 It was the first and only single to feature lead vocals by Jay Aston. 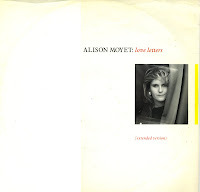 Aston's vocals were notably different from her solo appearances on previous Bucks Fizz songs Aston herself has said that she was adopting an effected voice, similar to Hazel O'Connor. 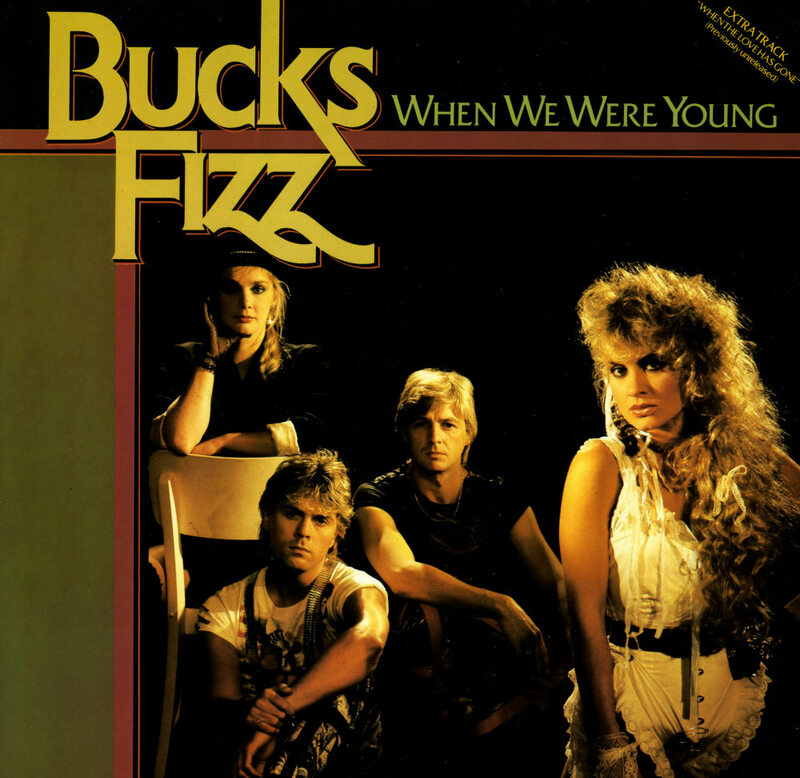 She has since stated, despite the song's success, her vocal affectation wasn't a good idea, although has rated it her favourite Bucks Fizz song, while member Cheryl Baker has commented that she never liked the song due to its downbeat tone. 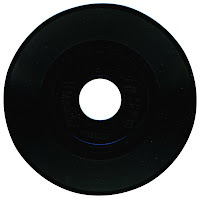 This 12" single features and extended club version of the track and an extra B-side track. Although this is a 12" single, it doesn't really contain a track especially made for it: both 'Questionnaire' and 'Boy' appear in their respective album versions. But because 'Questionnaire' was edited for the 7" single, this still is an attractive disc. 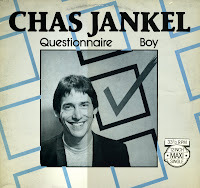 Chas Jankel worked with Ian Dury on a lot of tracks recorded by the latter. On this occasion, Jankel ended up recording the track he'd written with Ian Dury himself. When I listen to this single, I can't help but notice the dodgy sound effects and the very thin voice of Thereza Bazar. 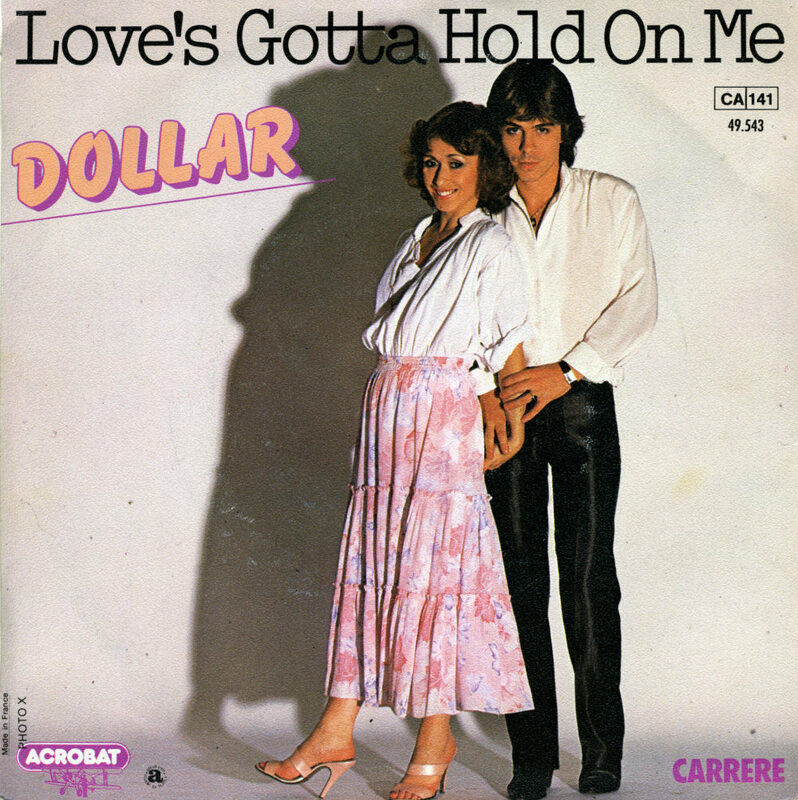 Dollar were just starting out in 1979, when 'Love's gotta hold on me' was released. 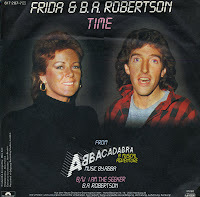 The duo had had two minor hits in the UK, but hit the big time - amazingly - with this one: it reached number 4 in the UK singles chart. The song does not convince me: personally, I prefer the B-side, 'Tokyo'. The Flirts were a female trio from New York City who had several dance hits in the early Eighties. The group was created and masterminded by American Hi-NRG producer, Bobby Orlando aka 'Bobby O'. The trio - initially Andrea, Holly and Rebecca - are best known for their sensual tracks. The single 'Passion' was released in 1982, and it became the group's only single to chart outside of the USA. It reached number 22 in the Dutch Top 40. Marjon Keller, Mandy Huydts en de the sisters Karin and Laura Vlasblom were selected for the children's choir Kinderen Voor Kinderen in the early Eighties. After recording an album and some TV specials with the choir, they decide to continue as a group. They are coached by Mandy's father Jan Huydts. Working as The Sweet Society at first, they change their name to Frizzle Sizzle in 1985 and record their debut single 'Why do boys'. Produced by Peter Schön and Victor Heeremans, the single sounds a bit like a demo and does not reach the Dutch Top 40. In 1986 the quartet participates in the Eurovision Song Contest and find fame under the guiding hands of producers Fluitsma and Van Tijn. 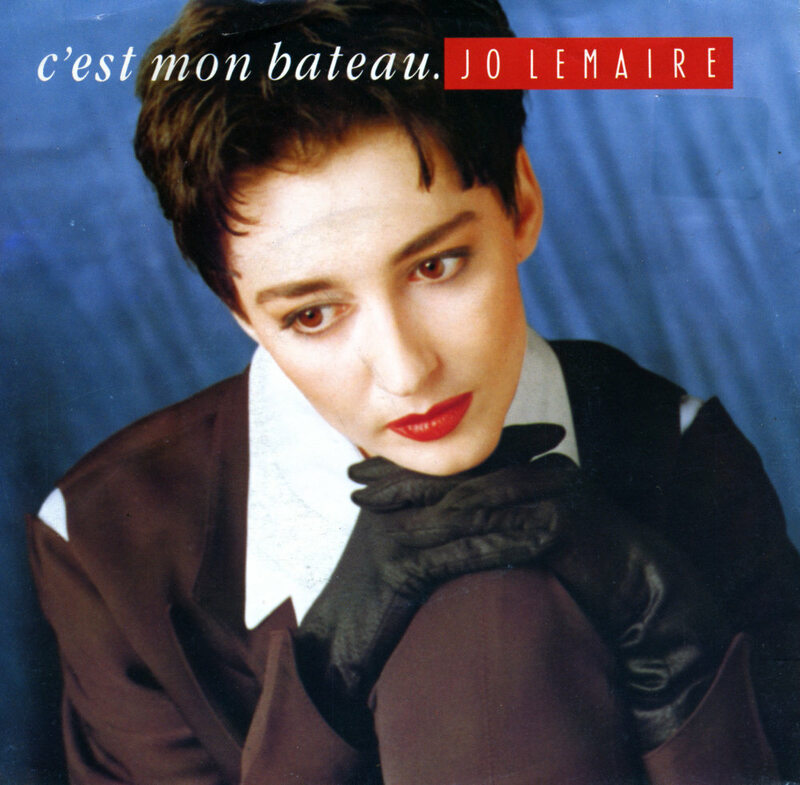 Belgian singer Jo Lemaire released 'C'est mon bateau' ('It's my boat') in 1990. The accompanying music video was recorded in black and white. 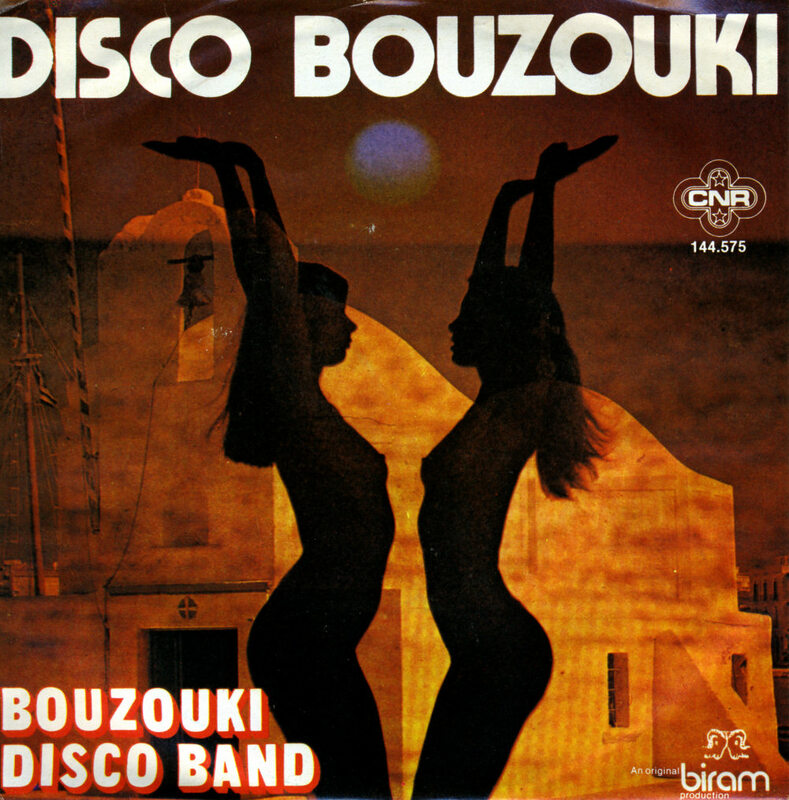 The song was taken from the album 'Duelle', which was a record with French chansons. The album was awarded gold in Belgium and was also successful in France. 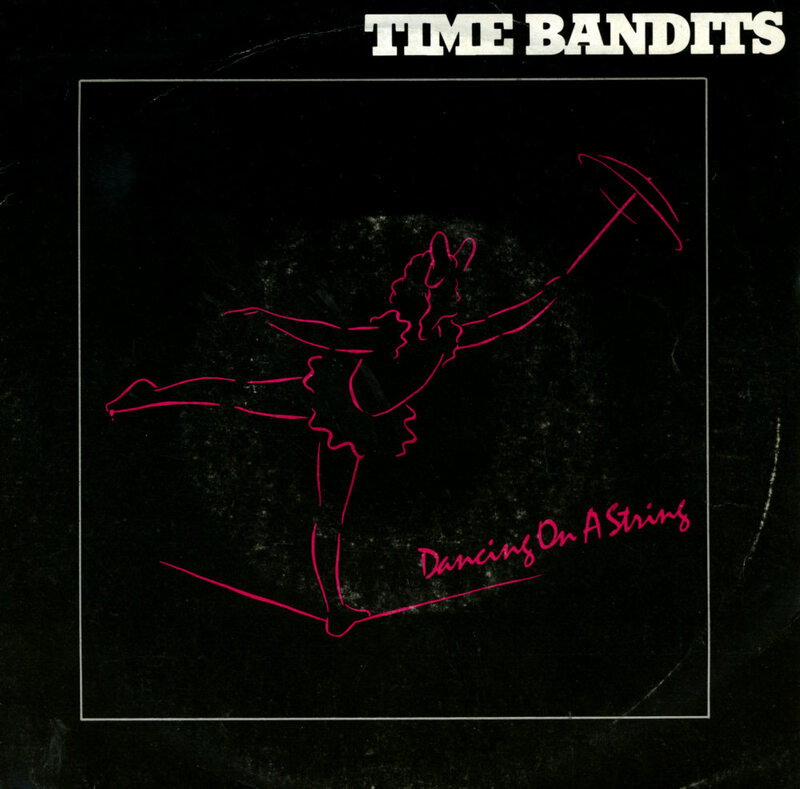 Having bought a lot of Time Bandits singles lately, I was in doubt whether I would take home this one as I was sure I could find it cheaper someday. But in the end, I did and I'm glad I did: this is possibly one of the band's best tracks. 'Dancing on a string' has a great melody and is quite catchy too. 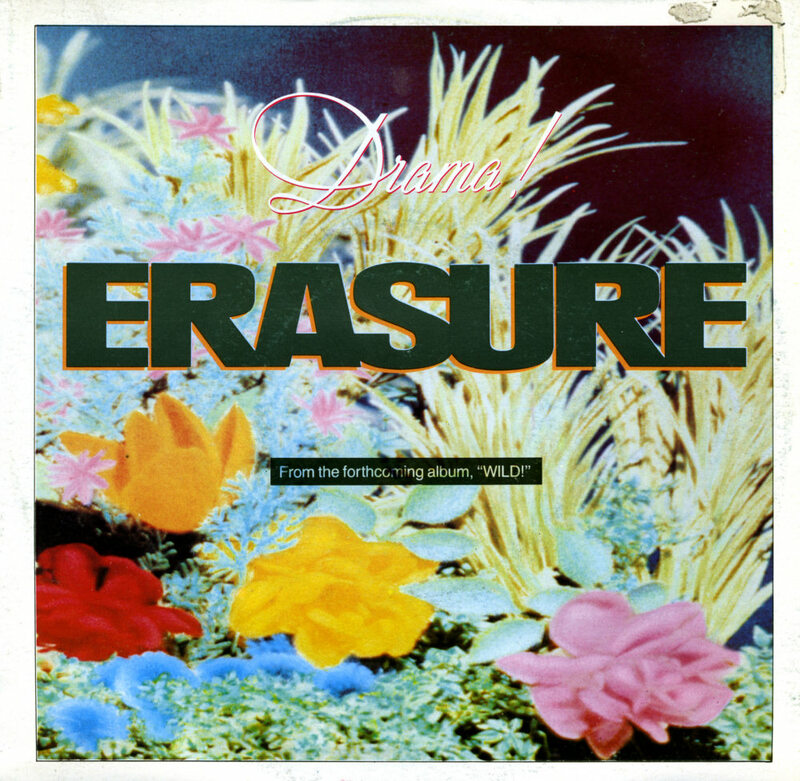 When released in October 1985, the single reached number 28 in the Dutch Top 40. 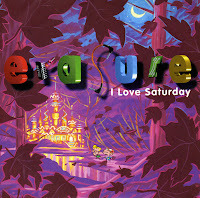 It was the first single from the album 'Fiction' that would be released a few weeks later. Bernard Edwards and Nile Rodgers, who produced the album 'We are family' for Sister Sledge originally formulated all its songs with the group in mind envisioning the title cut as the lead single. 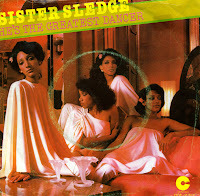 When the record company wanted a more overtly disco song Edwards and Rodgers gave Sister Sledge 'He's the greatest dancer', originally intended for their own band Chic. Nile Rodgers recalled Sister Sledge being 'furious' at being asked to sing the lyric 'My crème de la crème please take me home': 'to them that made them seem like loose women' - and suggested a lyric adjustment to 'My crème de la crème, please don't go home.' Rodgers says he and Edwards refused to change the lyric 'because we knew the world that we were writing about obviously more than they did because they had never even been in a disco...He ain't going to go home because [he is] the greatest dancer...he's gonna stay there longer than you'. 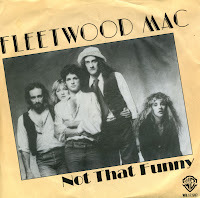 When released as the first single from the album, it reached number 9 in the US Billboard Hot 100 chart in May 1979. The single also reached number 18 in the Dutch Top 40 and number 6 in the UK singles chart. 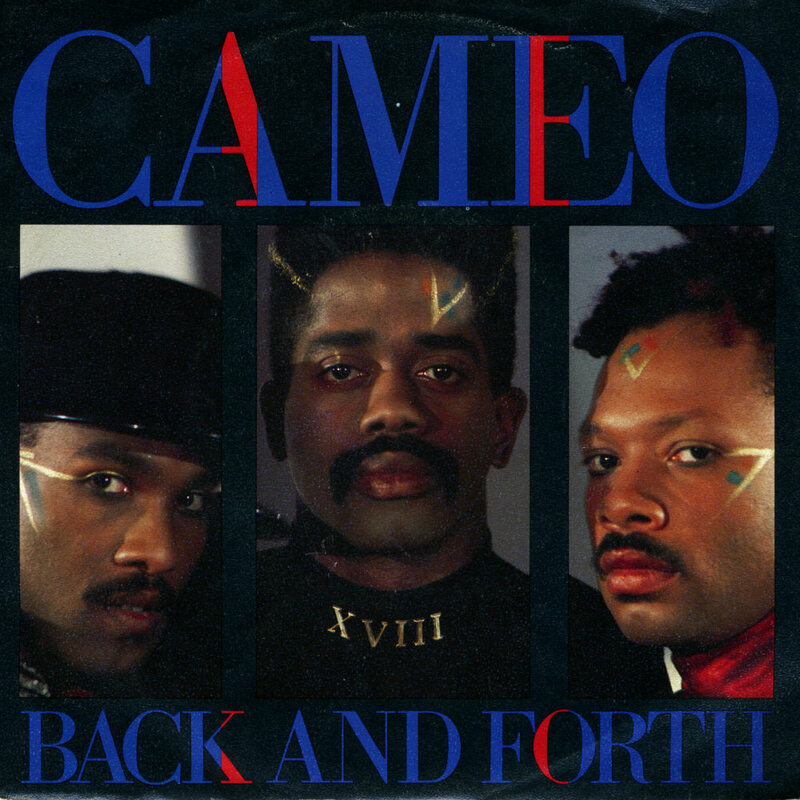 Cameo were very popular in the mid-Eighties after they had a worldwide hit with 'Word up! 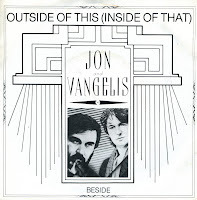 ', the title track of their 1986 album. 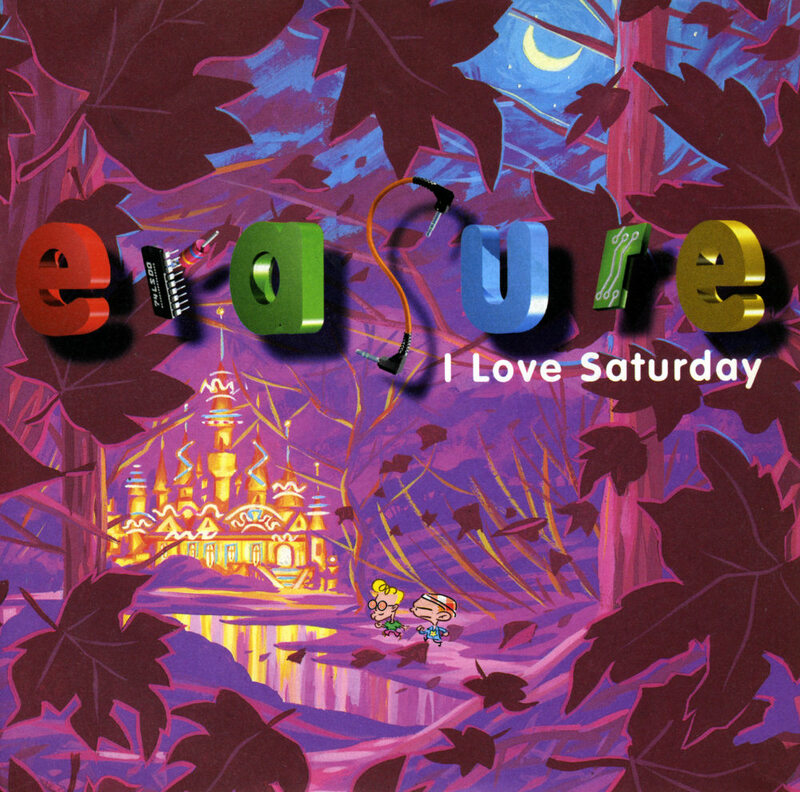 Subsequent singles 'Candy' and 'Back and forth' were not as successful, but were still hits in some territories. 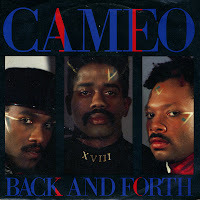 'Back and forth' was released in April 1987 as the last single from the album and reached number 11 in the UK singles chart. In the US Billboard Hot 100 chart, the single peaked at number 50. 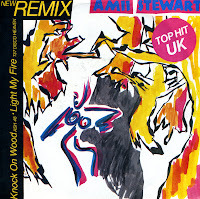 Amii Stewart's career was slowly grinding to a halt when this remix double A side was released in 1985. 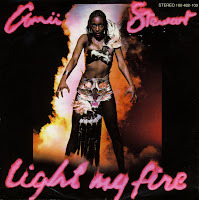 Her biggest hits 'Knock on wood' and 'Light my fire' were remixed by Barry Leng and Alan Coulthard. The single was a big success in the UK, where it reached number 7. And thus, the 'Top Hit UK' label on the sleeve of this German pressing is no lie. I don't know what position the single reached in Germany - but in the Netherlands it failed to chart. American disco singer Amii Stewart recorded a remarkable disco-flavoured cover version of the Doors' famous rock track 'Light my fire' in 1979. 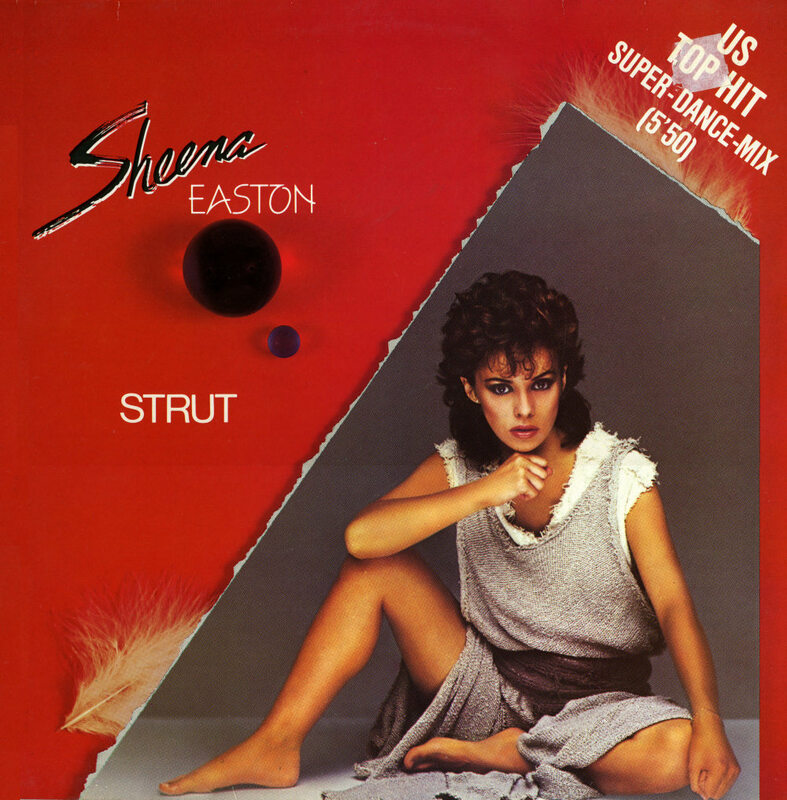 Her version was a commercial success, hitting number 5 in the UK singles chart. The Doors track has been covered by many other tracks through the years. Acts like Jose Feliciano, Stevie Wonder, Shirley Bassey, Baccara, Massive Attack, Trini Lopez and UB40 have all had a shot at it - although nothing beats the original. A song about agoraphobia, 'Trees and flowers' was originally the debut single of Strawberry Switchblade, the Scottish duo consisting of Jill Bryson and Rose McDowall. 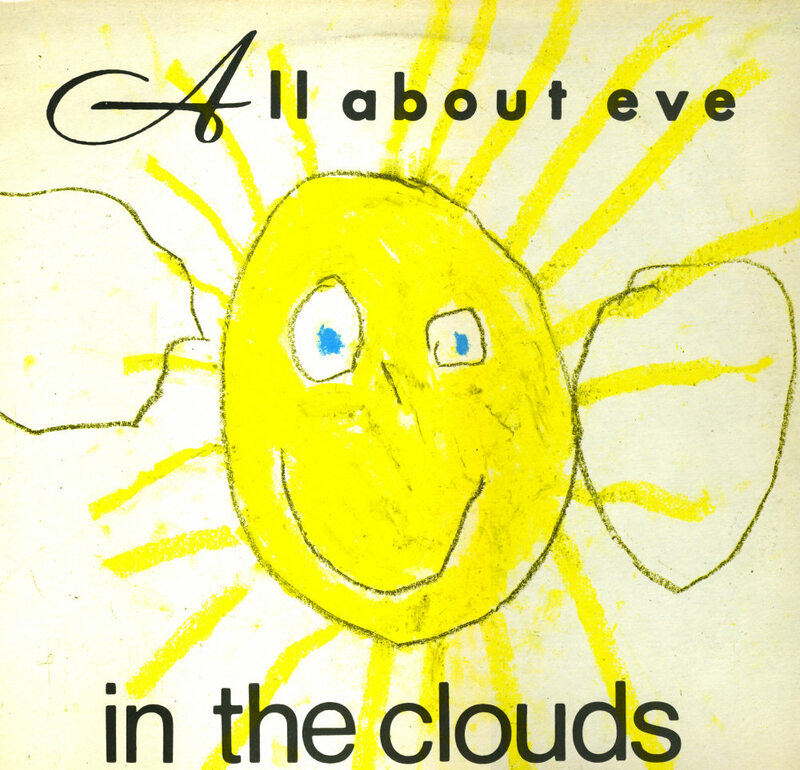 Released on the indie label '92 happy customers', it didn't reach the chart, but it got them noticed by bigger record companies. They eventually signed with WEA records, who released their debut album in 1985. A limited reissue pressing of the 7" was made and given away with initial copies of the album. This copy was actually sold separately - and so I snapped it up. 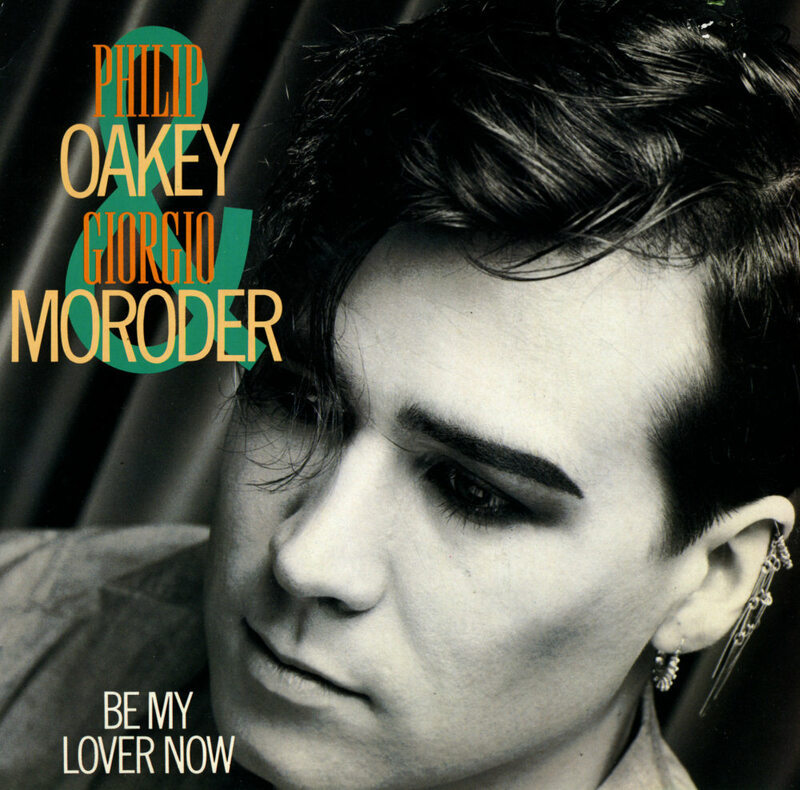 Human League frontman Philip Oakey and legendary producer Giorgio Moroder had worked together previously. Two singles had already been released - the hit single 'Together in electric dreams' and the flop 'Good-bye bad times' - when 'Be my lover now' was released in 1985. 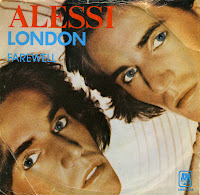 Like 'Good-bye bad times', this single did not reach the UK singles chart. Meanwhile, their self-titled album reached number 52 in the UK albums chart. 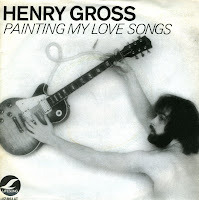 On his third album 'Show me to the stage', Henry Gross mixed Rock & Roll songs with Phil Spector and Brian Wilson influences. A good example of the Brian Wilson sound on his album is the single 'Painting my love songs', released in the summer of 1977. 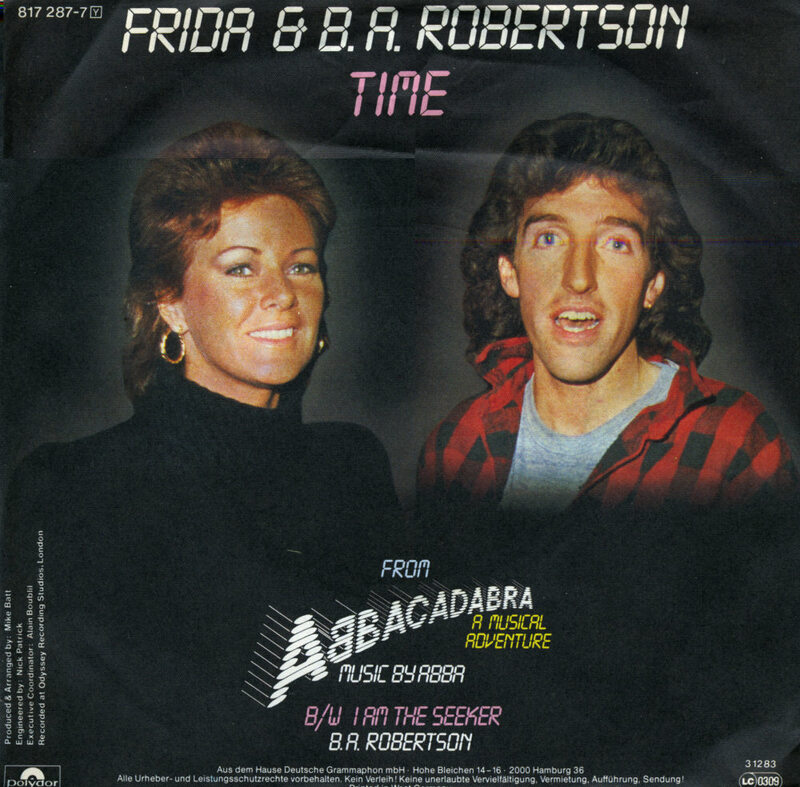 This single did not chart in any territory, but it very nearly made the Dutch Top 40. 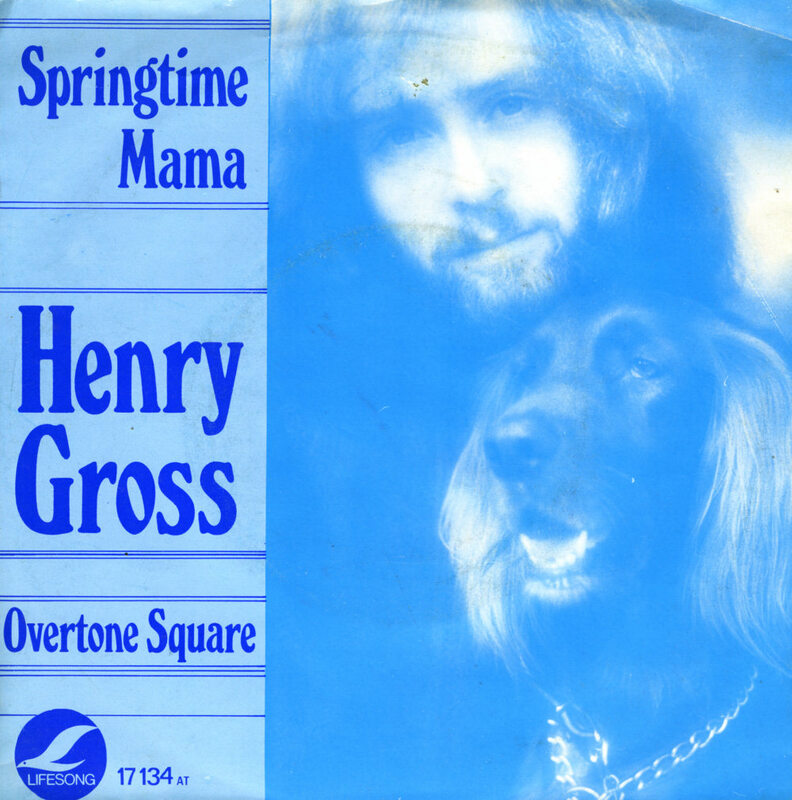 After Henry Gross had a worldwide hit with the single 'Shannon', he released his second album 'Release'. 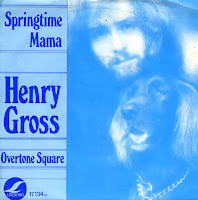 The second single taken from that album was the uptempo 'Springtime mama'. 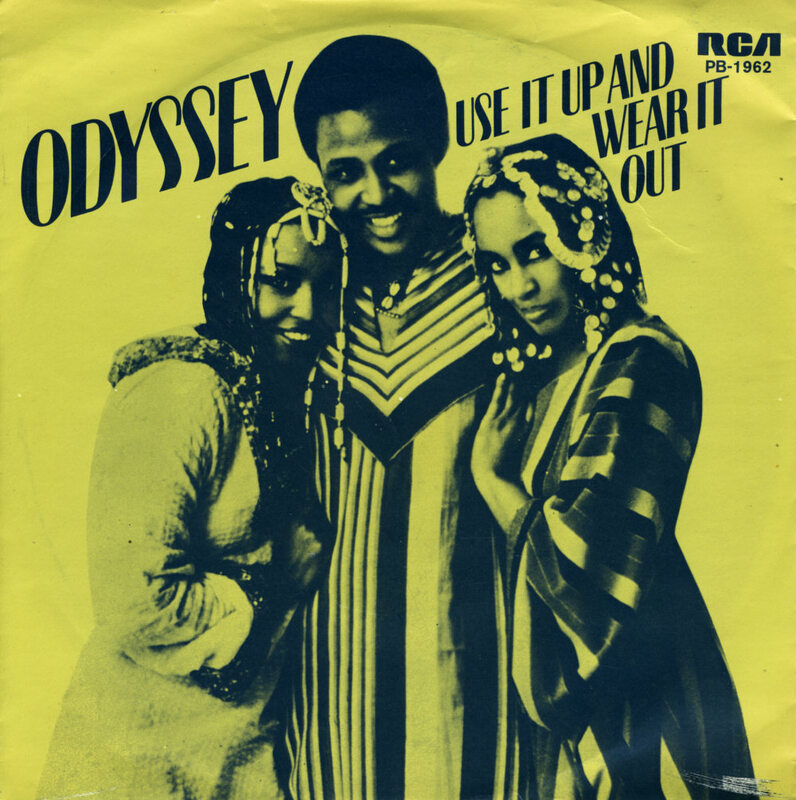 This single almost reached the gold status in the USA, while peaking at number 37 in the US Billboard Hot 100 chart. In Europe, this single failed to impress the record buying public. 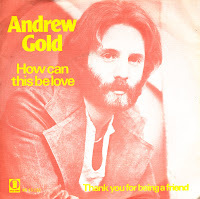 After Andrew Gold enjoyed his first UK hit in 1977 with 'Lonely boy', he followed it up in 1978 with 'How can this be love'. The single reached number 19 in the UK singles chart. 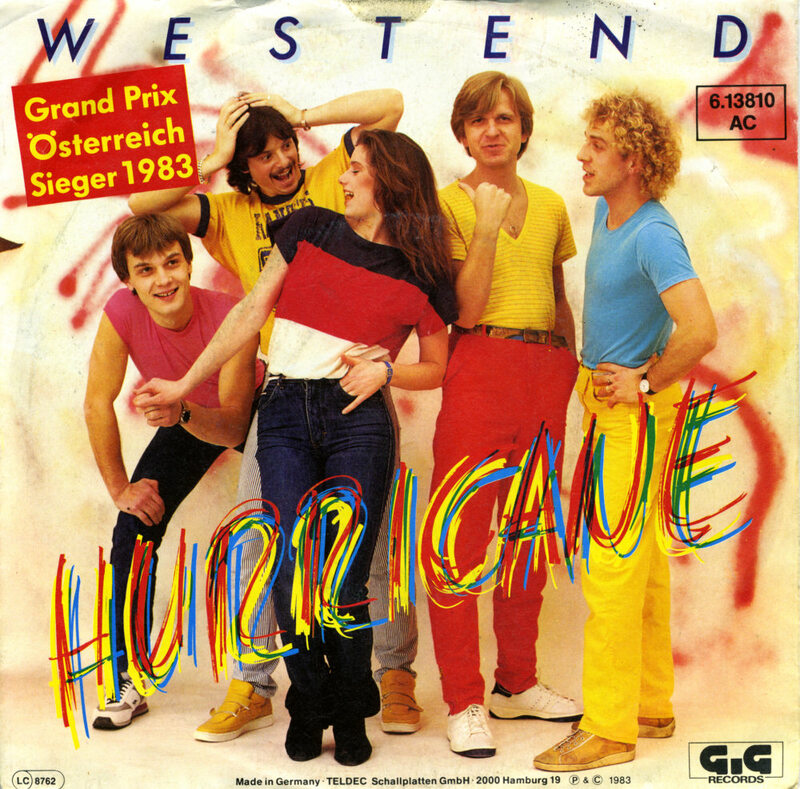 In the Netherlands, the single narrowly missed the Dutch Top 40. The B-side, 'Thank you for being a friend', also written and performed by Andrew Gold, was recorded by Cynthia Fee as the theme tune to the US comedy series 'The Golden Girls'.